Don’t get caught in a tug-of-war over bidding for a new home. All the excitement and desire may leave you overpaying for the home you wanted. So how do you keep yourself in check and make sure you get the best deal for that dream house? Answer: Pay attention to the details and the market. When you look to buy a home, making a sensible offer is the wisest choice. You don’t want to give an extremely low offer, expecting large negotiations. If you do that, the homeowner might find it offensive and be unwilling to continue working with you. Finding the right price all depends on market factors like: the home’s location, size, condition, and amenities. Every offer should be based around those factors – in fact, it’s the rule. But how do you know which price is the right one? Easy. Look at the “comps,” or comparable properties that have sold recently. The easiest place to start is with recently sold homes in the neighborhood, as they typically will range in the same price bracket. Next would be to search online for other homes like yours and see what they’re going for. This way, you can be sure you’re not overpaying and don’t extend a ridiculous offer. If there aren’t any comparable homes for the one you’re looking to buy, then using your good judgment is the best option. A good real estate agent will provide you with all the information you’ll need to make a correct analysis on the home price. As you examine what your offer should be for the home, you should also note if the property is in turnkey condition. If there are necessary repairs, subtract the cost from the home offer and speak the owner about it. Also consider if the home has everything you want or need. Will you need to put in your own fence or buy appliances? These are costs to keep in mind when making an offer. No matter what offer you make or what the seller wants, your mortgage lender will only let you pay as much for the home as it’s worth (or what it’s been appraised for). This way, the seller won’t be able to command a higher price than the home’s worth – no matter how many bidders want it. 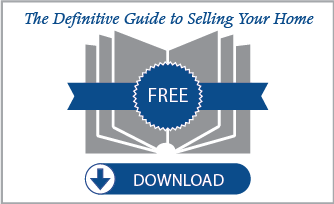 The process of bidding is a game – but don’t lose sight of what your bottom line is. You know your personal affordability better than anyone, including the bank. 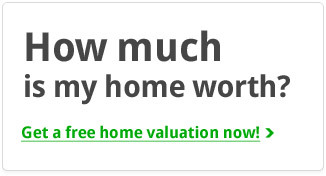 Make sure you can afford the home and stick to your bid. If you make a good offer based on the comps, you’ll do fine. Use our city guides and find homes for sale that you can bid on. Don’t forget to use the tips from this article!